From Jerusalem Plank Road near the Jones House. From here, the main branch of the USMRR continued west to join the Weldon Railroad near Globe Tavern and what would become Fort Wadsworth. 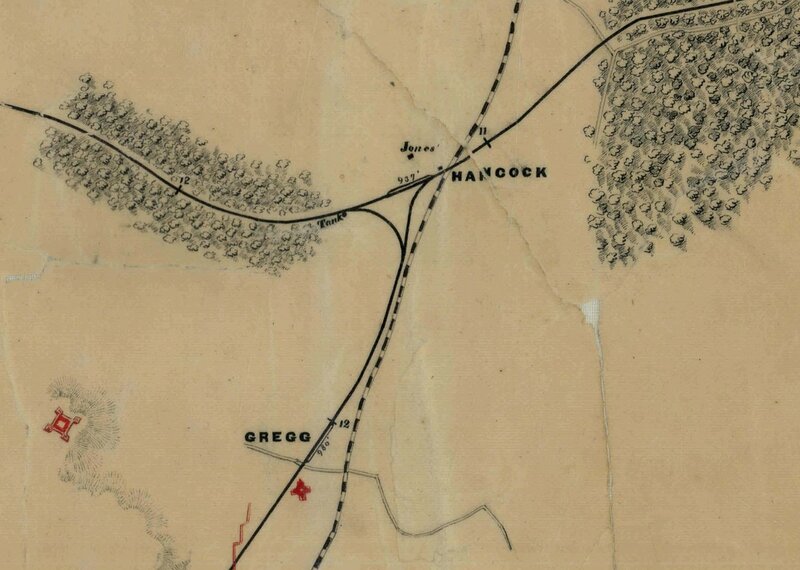 A southern branch running parallel with the plank road connected at 1 mile to Gregg Station and 2 1/4 miles to Crawford Station at the Temple House. Becker Collection 32645 detail. 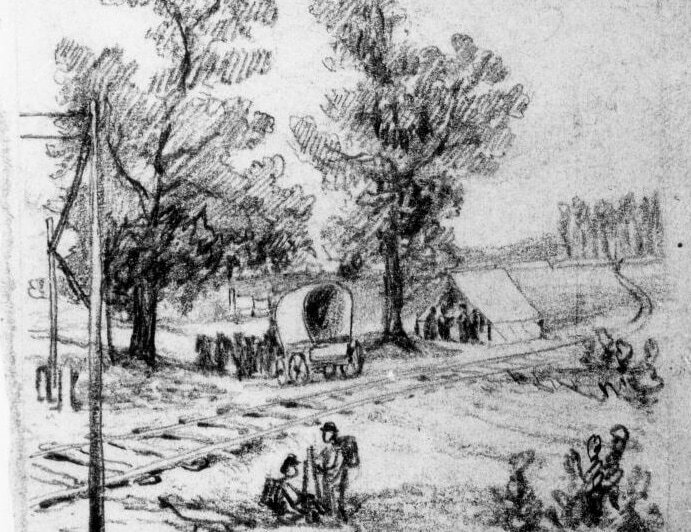 "Scenes from the Construction of Grant's Railroad. Crossing Jerusalem Plank Road." Andrew McCallum, artist. 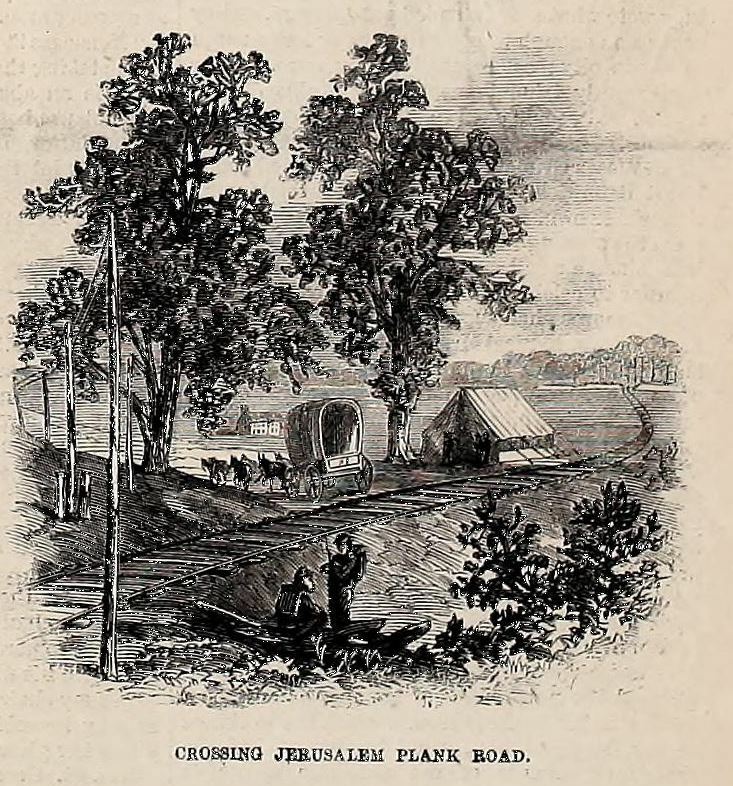 Woodcut in Frank Leslie's Illustrated, Oct. 1, 1864. Vicinity of Hancock's Junction at the crossing of Jerusalem Plank Road from NARA "Map of the City Point & Army Line." Courtesy of NARA and of Ted Linton, who procured such a detailed scan.